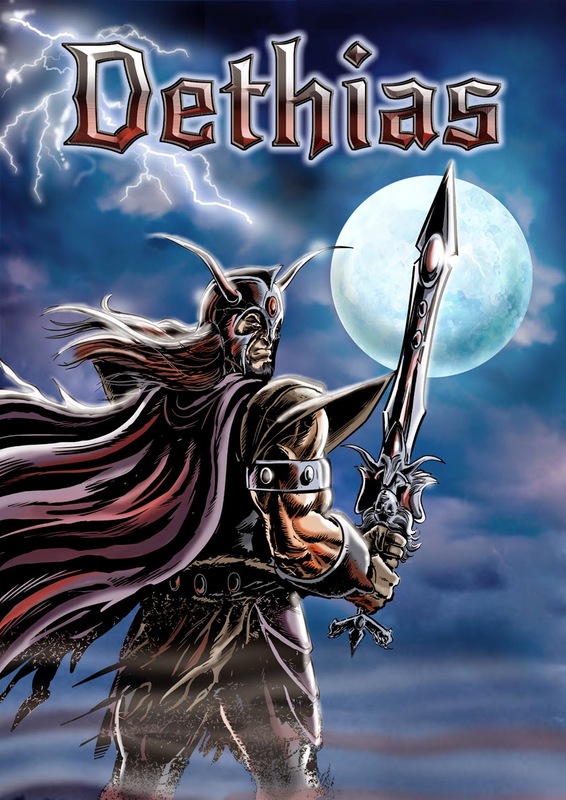 Here's another album cover I worked on for a local up-and-coming heavy metal band called Dethias (you can listen to their new track BATTLEBORN here!). I'm really pleased with how this turned out... I tried a different style of colouring for this, and wanted to give it a Conan the Barbarian feel. Big thanks to colour artist extraordinaire Jason Cardy for both getting me the gig, and also for the sky/moon background!